Until the end of the 20th century, CFD was typically a tool used in an academic environment, or in large aerospace companies. Back then, CFD was a very expensive and time-consuming activity. But over the past 10 to 20 years, CFD methods have developed and computational power has grown exponentially. As a result, CFD becomes more reliable, cheaper and more accessible. Despite these trends, there are still some prejudices about CFD. In this article we discuss four of them. The equations behind most CFD software are the Navier-Stokes equations. These equations are proven to be correct. There is no discussion about that. However, solving the Navier-Stokes equations analytically, is not possible. Therefore, it is necessary to simplify the equations and solve them in an iterative way. In order to simulate a gas or liquid flow in a specific environment, the user needs to determine which simplifications to apply. This depends on the situation at hand. Moreover, the user needs to choose the right turbulence model, the right boundary conditions and a suitable numerical method. As such, the result of a CFD simulation largely depends on these choices, and here it can go wrong. Sometimes the user choses the wrong simplifications or models in order to get fast results. In other cases, the computer model might ask for unknown boundary conditions. In those cases, the user must make assumptions, resulting in extra uncertainties. If the results of a CFD simulation do not match reality, then this is not due to bad CFD-software, but due to wrong inputs or assumptions of the user. The experience of the user and the possibility to validate CFD by comparison with experiments, determines the reliability of a CFD simulation. The total price of an initial CFD simulation largely depends on the exact application, but it varies between EUR 2.000,- for a simple 2D analysis and EUR 20.000,- for a complex and time dependent analysis in the automotive or process industry. In follow-up simulations you analyse design variants of alternative boundary conditions. These follow-up simulations are usually much cheaper than the first simulation. Because you only have to modify the CAD model and the mesh that are already available. Of course, an investment in CFD should always be in balance with the resulting cost reduction by avoiding an expensive trial & error process. As mentioned before, CFD is quite computationally expensive. However, thanks to the fast development of computational power, and the possibility to run CFD simulations in parallel on a large cluster, the runtime of a simulation is usually a few days. Also here, the time required by the user to prepare the simulation and to process the results, is longer then the runtime of the simulation. The total duration of a CFD project (including CAD modelling, meshing, setting up the simulation and processing the results) takes 2 to 5 weeks, depending on the complexity of the simulation. 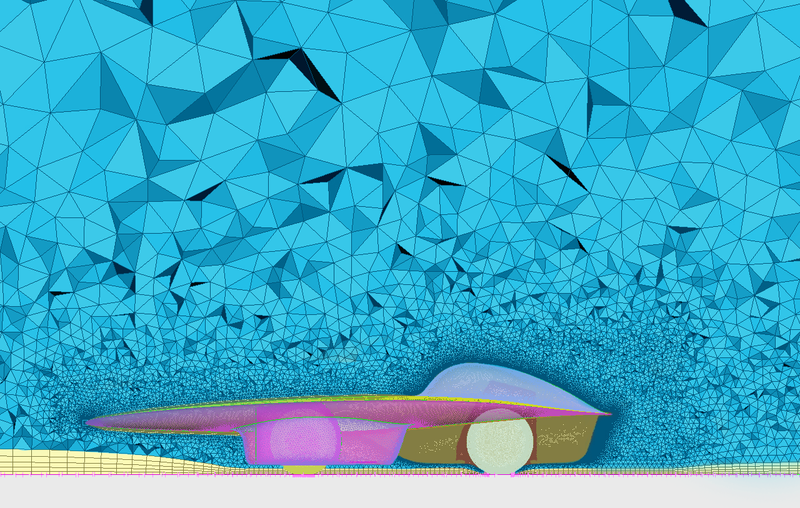 Follow-up simulations based on the available CAD geometry usually take a few days. Physical measurements are definitely valuable to any development project, but in some cases, measurements are very expensive or even not possible. Moreover, a measurement device usually measures a flow property only in 1 location. This makes it hard to have an insight in the overall flow field, or in locations where you don’t expect remarkable flow effects. Usually, a combination of simulations and physical testing is preferable. When analyzing a prototype or an existing product or building, measurements can reduce the uncertainties and serve as a validation of the simulation approach. This validated approach can then be used to analyze multiple design variants. In the early phases of the development of a new product or building, physical measurements are not possible, which means that the experience of the user with comparable simulations determines the reliability of the CFD simulations. 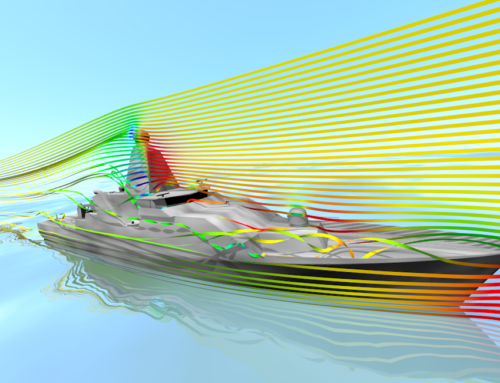 The cost of a CFD simulation consists of computational cost and ‘man hours’. In order to reach a result within a reasonable timeframe, CFD simulations require a powerful computer, or even a cluster of computers. However, computational time is not that expensive any more. For the average CFD-simulation, the computational cost is not a dominant factor in the total project cost. However, this might be the case in very complex and time dependent simulations. All these activities are necessary to make sure that the CFD results are reliable and add value to our customer’s project. 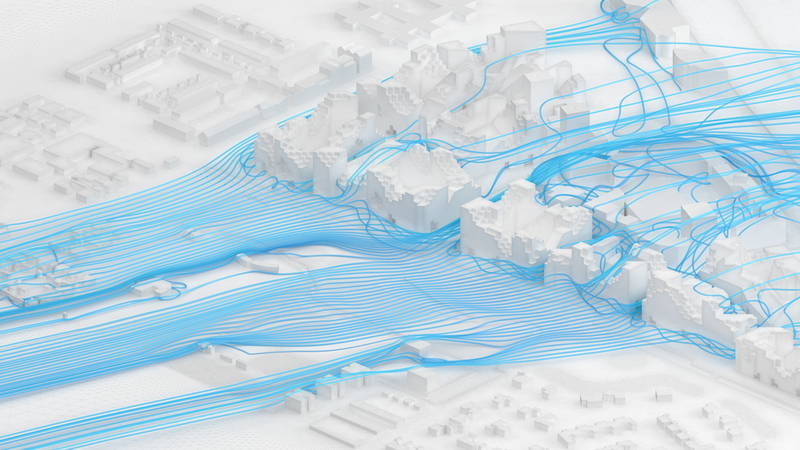 The purpose of this article is to give more insight and to create better understanding about CFD as a tool to visualize and quantify fluid flows in their surroundings. Depending on the exact situation, CFD can be a useful tool, or not. At Actiflow, we can advise you about the best approach for your project, with or without CFD. If you would have questions or you would like to know more, please contact us. Eric is founder and managing director of Actiflow. 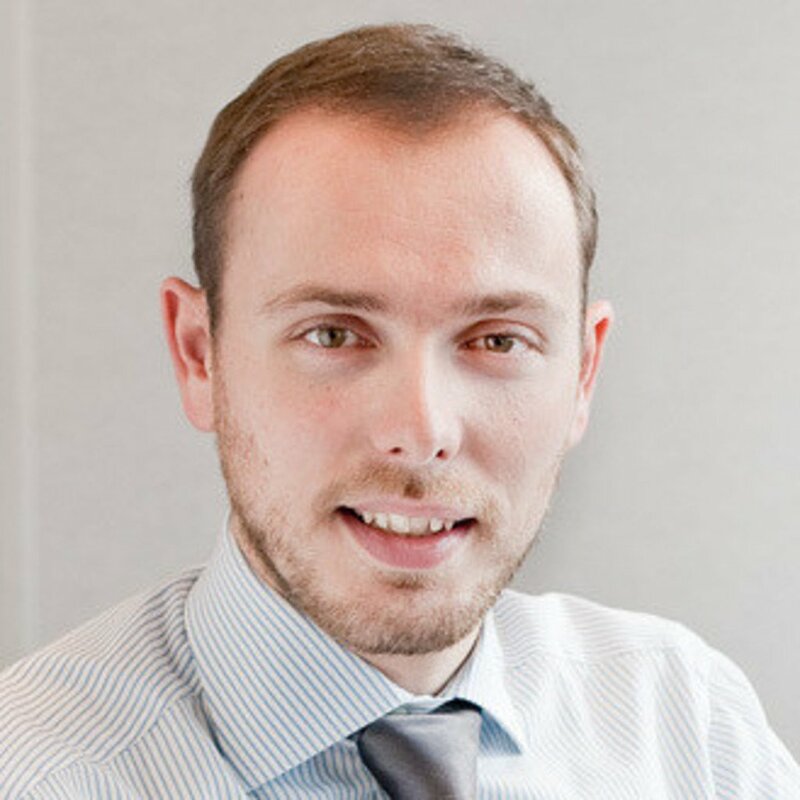 He has almost 15 years of experience in executing and managing CFD projects. Eric had an education as aerospace engineer (Delft University of Technology), with a master in aerodynamics. 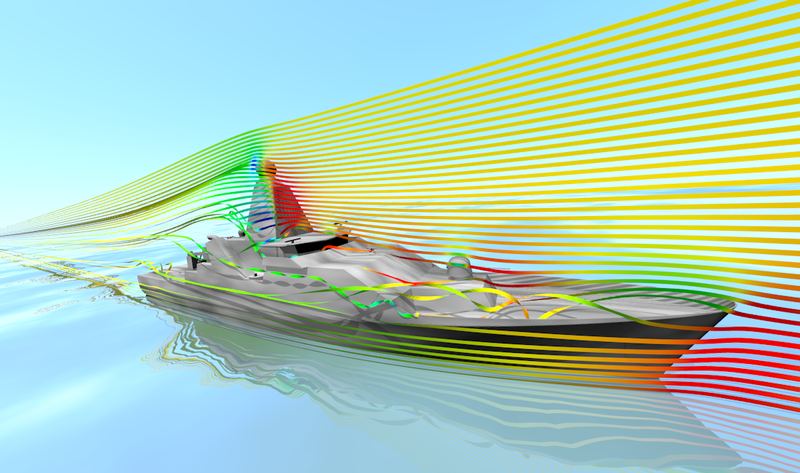 Today, he leads a team of 13 engineers using CFD simulations on a daily basis. What is CFD (Computational Fluid Dynamics)?